Planting grass seed is a pretty simple process, but there are a few things that you should know. What Kind of Grass Seed Should I Buy? Love to Buy Small Plants from You. Seriously! First let’s start with selecting a good grass seed for your situation and some mistakes to avoid. It’s best to buy a grass seed that is made up of a variety of different kinds of grass seeds all blended together. Why a blend? Why not just 100% Kentucky Blue Grass? There are several reasons for using a blend of grass seeds in your lawn. Like all living things grass seeds can be attacked by different pests or conditions and if you have only one kind of grass seed in your lawn you could lose your entire lawn to an attack from insect, disease or other pest. For instance, perennial rye grasses can be killed by pythium blight which is a disease that is triggered by really humid conditions. This isn’t something to be overly concerned about if you have a blend of grasses in your lawn because the Kentucky blue grasses and the fescue grasses won’t be affected by the blight. But you want perennial rye grasses in your lawn because they are quick germinating, they have a nice green color and most of the varieties used today have a fine texture, almost as fine as Kentucky blue grass. Secondly, it takes Kentucky blue grass a long time to germinate, up to 28 days, whereas perennial rye grasses can germinate in as few as 5 or 6 days. Quick germination is important because if you planted a lawn of 100% Kentucky blue grass chances are the lawn will be full of quick germinating weeds before the Kentucky blue has a chance to even come up. So when you use a blend of grass seed, the fast germinating perennial rye grasses act as a nurse crop protecting the Kentucky blue grass seeds while they go through their long germination period. Click here to see grass seed germination time. The Price of Grass Seed Matters. Like everything else, with grass seed you get what you pay for. My suggestion is to go to a place that sells bulk grass seed, maybe a full service garden center or farm supply store and shop price. Find a good middle of the road blend of grass seed. Don’t buy the lowest price and don’t buy the highest priced seed. If you buy really cheap grass seed it’s likely to have a lot of annual rye grass and other not so desireable grasses. You’ll end up with a lawn with a lot of thick bladed grasses that would be more suitable for a pasture. A good blend of grass seed will have a blend of different kinds of fescues, different kinds of perennial rye grasses and some Kentucky blue grass. Don’t get too worked up over the percentages because I don’t believe that the percentage of Kentucky blue grass in a pound of grass seed is acurate or relevant because Kentucky blue grass seeds are really, really tiny and have a lot more seeds per pound than do rye grasses. I was once told that in a pound of perennial rye grass there are approxiamtely 250,000 seeds whereas a pound of Kentucky blue grass will have close to 1.5 million seeds per pound! True or not? I don’t know. If you count them let me know what you find. But in any cases, use a blend of grass seed and opt for the middle to upper price range of seed. If you live in the south where grasses are warm season grasses the same rules apply, it’s just that the kinds of grass you have differ. Preparing the Ground Before Planting Grass Seed. Before you start preparing the area you want to seed, give it a quick visual evaluation. Is it weedy? Does it contain thick bladed, undesirable grasses that you don’t want in your lawn? If so, I highly recommend that you first spray the area with an non selective herbicide that will not linger in the soil. I use something that contains glyphosate. But keep in mind, non selective means that the herbicide will kill any and all vegetation that it touches so read the label and wear the proper protective clothing. Once you apply the herbicide you usually only have to wait about 72 hours then you can till under the weeds that you sprayed. They may not look dead yet, but they are. If you prefer to not use an herbicide then just till the weedy areas. Wait about 5 days, till them again, and keep repeating this process. This constant turning then drying will kill the weed and any roots in the soil as well. I’d continue this process for at least two or three weeks. You need to prepare the soil before you plant grass seed. If you just sprinkle the grass seed on hard packed soil as soon as it rains or you water all of the seed will wash into puddles and you’ll have a lawn full of bare spots. To prepare the soil you should work the soil to a depth of about 2″ to 3″ then rake the soil smooth, but leaving small clumps of soil won’t hurt a thing and will actually help to hold the seed in place. By working the soil before planting you are giving the soil the ability to absorb water and not have it all run off. This allows the seed to get wet and become slightly embedded in the soil without it washing away. If you work the soil too deep it will be difficult to get it raked out and it will later settle into a very uneven surface. Once you have the soil prepared you want to spread the seed evenly over the area to be seeded. A good rule of thumb for planting a blend of grass seed is 5 lbs. per one thousand square feet but I suggest you read the label on the bag or talk to your seed supplier just to make sure of what they recommend. Just sprinkle the grass seed over the surface of the soil. If you use a rotary type of spreader you will get good even coverage. You can buy a spreader with wheels that you push, or if you are doing a relatively small area they make small hand held spreaders that you crank. Either one works just fine. Once you have all the seed applied what I do is take a push broom and drag the push broom over the surface of the area that I just seeded. What this does is lightly mixes the seed and the soil and covers some of the seed with a light layer of soil. This aids in germination and also hides the seeds from the birds. But don’t over do it. Just drag the broom backwards with a slight amount of down pressure. Once you have applied the grass seed to your lawn you should apply some kind of a mulch over the seeded area. There are a number of options. Straw is the old standard and considered somewhat old fashioned, but straw has it’s advantages. When you spread straw over your seeded area the straw lays in a criss cross pattern and some of the staw is against the seed and the soil and some of the straw is slightly elevated over the seeded areas because it is criss crossed. Think about the size of a grass seed and how tiny it is. With a single strand of straw suspened over a grass seed that single strand of straw actually provides a great deal of shade over the seeded area like latice over a patio. That’s one of the advantages of straw. The disadvantage? It blows all over the place. I don’t like using peat moss over grass seed because peat moss is either wet or dry. When it’s dry it’s hard to get wet. It actually repels water. Once it’s wet it stays wet and if you keep it wet it’s fine. But if it dries out it’s difficult to re wet it. Is peat moss terrible to use over grass seed? No, but it doesn’t provide the shade that straw does. What about Grass Seed Starter Mulch? You know, the green stuff in a bag that looks like hydro mulch? I actually like this stuff because most it also contains just the right amount of starter fertilizer for grass seed and it’s easy to apply by hand or with a spreader. When it gets wet it swells up and hold moisture pretty well. I’ve used it a number of times with really good results. I like it. Hyrdo seed shmyro seed! Hydro seed is okay but there is no magic in hydro seed. Hydro seed contains three things. Grass seed, whatever kind you select, hydro mulch which is okay but nothing special, and fertilizer. I’ve done a lot of hydro seeding and I can assure you, hydro seed works exactly like I describe above. When you hydro seed you fill a big tank with water, then you dump in grass seed, hydro mulch and fertilizer. Sometimes if you are seeding on a hill they dump in glue. Yes, glue. Does the glue work? I dunno. It holds for a while but when it does wash it takes large areas with it. The big advantage to hydro seed is that the seed is thoroughly soaked before it is applied. So if you seed manually then water really well you’ve accomplished the same thing. Hydro seed can and will wash out easier than a hand seeded lawn. And with hydro seed everything is mixed together then applied as a slurry. But this means that some of the grass is in touch with the soil and some of it is stuck to the hydro mulch and is actually on top of the mulch instead of under it. So . . . if you’ve got a lot of money and don’t want to do the work yourself let somebody hydro seed the area for you, but don’t think that only a hydro seeded lawn will grow. Grass seed is grass seed and the only difference between hydro seeding and hand seeding is the application process. Take Care of Freshly Planted Lawn. Freshly planted grass seed needs to be watered on a regular basis. You have to be really careful to not miss a watering because once you water the grass seed the first time germination is initiated. If you miss a watering allow the seed to dry out once it has germinated the little tiny grass plant will die and the seed will be spent. That’s why watering after you seed is so critical. Those little tiny grass plants are really, really fine, like baby hair. If you let them dry out they will die for sure. That’s why I like seeding in the mid fall or early spring. The soil temperature and air temperatures are warm enough for good germination but the sun is not as hot as it is during the summer months. Spring and fall are the ideal time for planting grass seed. And it usually rains more in the fall and spring. 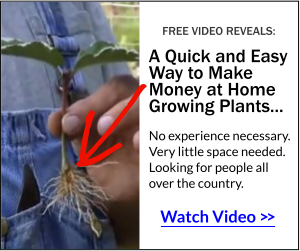 Buy Small Plants from You. Seriously! I am in Connecticut, just had about 4,thousand square feet of new lawn installed. The landscaper covered the new lawn with Shredded straw. The next day we had a very heavy rain which caused a large area to wash out and the straw is now bunched up in a lot of places with bare topsoil showing. I guessing a lost a lot of the seed but I don’t know. Do I need to rake the shredded straw off the soil first and start over? Can some of the straw be raked into new top soil in the washout area? Do I need to reseed the entire area? It appears the straw really floated around which I think means the seed has floated around or is completely gone. You’re probably right. Just move the straw around and put it back over the areas, then level the ground as needed. Reseed right over top of the straw and you should be fine. I found it very interesting when you talked about tilling the weedy areas of your lawn before planting grass seed. My husband and I bought a fixer upper and the lawns are just weeds and almost no grass, so we want to at least turn the front lawns into grassy areas that we can walk on. Thank you for the advice about constantly turning the soil every few days for a few weeks before you plant the seed to dry and kill the weeds and any roots that might be lurking in the soil. I had a moss problem in my yard. I killed off the moss and did my best to rake up the dead and still green spots of moss. I’ve self thatched and had it core aerated. I’ve just mowed and am ready to apply lime, overseeding and Milorganite. In what order should I apply each product or do I mix them all together and apply? Then since it’s already the beginning of June, how often should I set my sprinklers; like to come on beginning at 5am for 15 min and continue this schedule say again at 9am, 12noon, 3pm, and lastly at 6pm ? The order doesn’t matter but don’t mix them. Your watering schedule should be fine. If too wet shorten the duration. Not much you can do but roll it if the ground is soft enough. Ground should be very smooth before sod is laid. That’s a long time and I honestly don’t know. I always love your informative e-mails. You do a great job! Love your donkey buddies too. I have bermuda grass (I think) that is invading my lawn. It is in several places and around this neighborhood. I have a location that I need to till up and put in grass see but it is loaded with that darned grass. It has extremely deep roots and I have tried roundup with no luck. It seems impossible to kill. Any suggestions on what I can do so I can have nice grass in that area so it matches the rest of my lawn. I believe the roundup will do the job but if there is nothing to replace it, seeds will grow. Spray, wait 72 hours, till and replant immediately. I have a lot of weeds in my yard. and have compacted soil. My lawn is probably more than 50% weeds. In addition, the grass I have now seems to only grow to at the most 2 inches high. . I was going to use a weed and feed before planting, but wonder if it’s better to kill everything and start over? . If I do kill everything what is the best way to remove the vegetation? A sod cutter? Also, what is the best way to loosen the soil? Should I use my roto tiller or spread something on it? I live in central Ohio and only have about 6 weeks for the grass to establish before the first frost. Only you can decide whether or not to kill the entire lawn. If you do, be sure to use something that does not linger in the soil like a glyphosate product. You do not need to remove the vegetation and do not roto till. Simply over seed, ideally with a rented over seeding machine that will loosen the soil slightly. The frost isn’t going to harm your new grass but you do need to get in done while still warm enough for the seed to germinate. we just did a large extension in south N.J. and the excavator brought in some “topsoil” to cover parts of the yard that was too sandy and rocky. Turns out the topsoil was from another site and had lots of large rocks glass and other garbage in it , though the dirt is much darker and moister than the sandy dirt before. So, what should be our game plan for planting grass seed. additionally he put in 4 dry wells. Also, parts of the yard are always shady and parts sunny at times. We recently had a fairly large retaining wall, patio paver project. A lot of new soil was brought in. The soil was seeded, straw added and watered appropriately. I think we just got in under the wire here in Wisconsin as I now have a green haze peeking through. The area is soft. I did not think to roll the soil. Will the weight of our winter snow compact the earth enough to allow mowing in the Spring without fear of sinking in? If not, do you have other suggestions? Would we roll it in the Spring even though grass is now growing? It should settle pretty well over the winter, then roll it in the spring. If you have to touch it up in the spring do so really early or just wait until fall again. I really like planting grass seed in the fall. It’s almost effortless compared to all other times of the year. Love your advice. Question. Live in upstate ny Syracuse area wher it can get cold. Took a 27 ft above ground pool out. big area. contractor filled it in with fresh top soil and seed, lime etc. He did this on sept 23rd, in upstate ny, a little leate but temps have been ok for sure. After only 1 week, I can see little tiny grass coming up. Will these die in a couple weeks if we get a frost which is possible. Also, My biggest question, he put a LOT of straw on it , I mean a lot, Seems like its blocking the sun, but grass is still coming through. Do I have to rake this straw up if the grass does become and inch or two high? It seems like it gets entangled in the straw and I would kill it all if I raked it up. Can I leave this straw down over the winter to protect from frost and weather? Don’t know what to do. No reason for concern your grass will do just fine over the winter. Don’t worry about the straw it will settle down and the grass will completely consume it. I just planted grass seed at my place in Northern Ohio today, September 30th. Best time would be mid to late September. The grass will come up a bit slower but it will come up and will not be killed off by the intense sun. Just keep the weeds at bay until then. Me? I’d spray them with roundup it won’t harm the seed that you plant later. I just prepared my new lawn and spread the seed three days ago, but forgot to rake the seed into the soil. Should I rake it in now, or is it too late? Just take a broom and drag it over the seed backwards, then apply a nice heavy layer of straw. Straw is really important this time of year. Hi my neighbor sprayed weed killer on my grass 3 weeks ago and burnt my grass. I brought some miracle grow top soil and grass seeds and a rake I attempted to take out burnt grass apply seeds and top soil I just wanted to know will the seed grows and how long will it take before I see results. I live in Maryland and I just planted the seeds in late May. Thanks for your help. If your neighbor used something like roundup the seeds will grow just fine. Keep them watered and I’d mulch with straw this time of year. Hi Mike – I live in NJ and have a backyard full of weeds, bare spots, a hole where a tree was just taken down and a mud plot where a sizable yard shed was removed. I have hired a landscaper to dig out the whole yard, level it and seed it. He was supposed to do this 3 weeks ago, but due to rain and other delays, it hasn’t happened yet. He’s supposed to do it this week, but the temperatures are suddenly spiking to the 80s and are forecasted to stay that way for at least 10 days (lows at night, high 50s/low 60s) with a smattering of thundershowers also forecasted. Figures – just my luck – the temps are going from consistent 55-65 to 85 in a matter of days. But I can’t stand the lawn as is, it’s awful and embarrassing, so something needs to be done – I can’t look at it like this all summer. However, I’m pretty spooked because every article I read warns about planting during the summer in the northeast. Many say it’s a recipe for disaster and money down the drain. Although, it’s unlikely these high temps are here to stay – I know we’ll get another spell of more typical late spring/early summer temps – that’s just how it works in this part of the country. Given how much I hate the yard as is, I’m super committed to doing whatever it takes to make this work. I have bought sprinklers and timers and work part-time, getting home by 2:30-3 every day so I can supervise a 2nd and 3rd watering if needed. Do I have a prayer of it at least working enough so that it looks better than it does now? I don’t expect a full, beautiful lush lawn, I expect that will come in the fall when we can aerate and overseed, but I do want it to come in enough that it looks better than it does now, the kids can play on it and that it’s strong enough to mow (I’m picturing babyhair-like grass all summer). Any advice – from you or any other knowledgable readers – would be greatly appreciated! Keep in mind, growing grass in the heat of the summer is challenging, but not impossible. Landscapers and contractors plant grass all summer long. I highly recommend a heavy layer of straw, you can google the amount per thousands square feet but I’d say no less than one bale per 1,000 square feet, maybe up to two. Keep it well watered and you’ll be fine. If at all possible water in the early morning, mid day and afternoon, but come evening allow it to dry before the sun goes down. High humidity at night are perfect conditions for pythium blight which can kill rye grasses. But don’t stress over that. If it happens it’s not the end of the world, the rest of the grasses in the mix will be fine. Thanks, Mike. So should the schedule be something like 7am, 12pm and 4pm? And how much time do you suggest for each watering? I’m as worried about over-watering as I am about under-watering. Julie, That schedule would be fine, then adjust as needed. If the soil is still wet, just skip a watering. Can you spread more seed over the top of straw if the seed has just been put down? Absolutely. The seed will find it’s way to the soil and germinate. Mike, we planted our grass seed but the staw was blown away while we were trying to get the first watering. Now half has no grass and half has likely too much. The seed hasn’t blown away. It is supposed to rain tonight and tomorrow morning. I do have straw still but the wind isn’t due to die down for a couple days at least. You can buy green mulch pellets for new lawns, like hydro mulch, actually work pretty good. Just keep what you have watered. Hi Mike. I have 2 out side dogs that are just ruining my back yard. It seems no matter what I do to try and fill in all these bare spots they have made nothing is working. Please help! I loved my new yard when we for our house and I miss my grass! Not a lot you can do but fence off those areas for a few months while you get the grass replaced. Mike, Thanks for all your great info. I am a Japanese Maple Junkie and not sure what fertilizer to use. Some recommended by the nursery is very expensive. I have access to well composted chicken/mushroom compost. I put a 5 gal bucket in a 30 gal trash can and let it ferment for a week and use it on my veggies and flowers. I dilute it first. Will this compost tea be sufficient nutrient for my maples. Thanks again for all your help. Cheap fertilizer is the worst thing for Japanese maples. The compost is a good thing, but in all honesty I never fertilize any of the plants in my landscape. Never have and they always look fantastic. So don’t think that you “have to” fertilize anything planted in the ground. We have alarge section of our yard that is covered in wild violets. It looks pretty now, they are blooming, but we really would like it to be just grass. We have tried re-seeding, but the violets are persistent and now covers a 20×20 foot section of our front yard. And then there are other areas of the lawn covered in moss. Over the years we consistently add lime, but probably not enough. Oh, and the moles are all over the same lawn, making the entire yard soft (their tunneling is everywhere). To top it off, our well is located in this same area, making it difficult to determine what is safe to apply. Havebeen reading your site for years and really trust your advice., soany guidance will be appreciated. With the well and all I would recommend just tilling the area, let it dry, till it again, let it dry and repeat this process for a period of weeks. This should get rid of the violets. The moles are eating insects in the lawn, probably Japanese beetle grubs. You can try Milky Spore which is organic. hi Mike i want to know what you use to keep insects from eating up your plants? I rarely, if ever, spray any kind of an insecticide in my nursery. I don’t worry about a few bugs. The insecticide kills all of the bugs and some are important to the balance of nature. Just finished counting the Kentucky blue..
Nice Rob. We appreciate you doing that for us. I am in need of some major lawn repair this year. A lot of the back lawn is dead/thinning due to high traffic area from kids running around on it. This has been an ongoing issue for quite some time and we have usually just fixed up the spots in the spring. We have moved the entire play area to our front yard but I’m afraid it was probably a little too late. Winter is now over here in Maine, spring is starting to arrive and the area to be redone is now a large area. What/how do you recommend we fix this? Should we till the entire area; have loam hauled in or not; what type or mixture of seed to buy; straw vs. mulch; etc.? Any tips would be much appreciated. Thank you! I’d just get enough topsoil to fill any holes, spray any weeds or thick bladed grasses with a generic herbicide, seed and straw. You don’t have to till but you should scratch up the surface before you seed. Buy a good blend of seed, not the cheap stuff. Cheap grass seed produces a very cheap looking lawn. I understand your concerns but I have installed lawns in some of the rockiest soil imaginable. Put that store bought soil down right before you seed certainly isn’t going to hurt anything. Put the soil down, seed, then take a push broom and drag it backwards over the seed area. That will mix the seed with the soil. Then a fairly thick layer of straw would help to keep the birds out, but it shouldn’t be necessary this time of year. Just don’t miss any waterings once the grass starts to grow. I planted winter ryegrass after having a new driveway installed to cover the dirt left by the construction . Can i just spread new kentucky blue grass seed or any other grass seed to establish my new lawn as the ryegrass dies off or must I till my yard under to seed my lawn with the new grass seed? As long as you are happy with the grading of the soil and don’t need to adjust that at all I’d just cut the winter rye close and over seed with a blend, not just Kentucky blue, but a blend that contains perennial ryes, fescue and Kentucky blue. It should come in fine if you seed it early in the spring. I need plant grass in big patches around my yard. I just raked up the old straw from last fall. So its broken down and pretty fine stuff. Can I use that to cover my new seed???? and if i shouldn’t why ? getting ready to seed next week! Absolutely you can use that old straw, it should be fine, good for the soil. Especially now when shade isn’t as critical. Fresh straw might provide more shade but maybe not. I live on grass seed farm in Oregon and I can grow an entire lawn with just straw after the seed is harvested. It’s a bit uneven but it fills out just fine. What I’m saying is straw is a great start for mulch. If it’s wheat straw be prepared to pull a stalk or two. My grass seed is doing great and sprouting everywhere. I planted just before my oak had finished shedding all its leaves so some have built up on top of my seedlings. How soon is it ok to rake them.up without disturbing my young grass? Just about anytime, you really shouldn’t disturb the grass too much. It probably will do better with the leaves up rather than cover the new grass. Just rake gently to not uproot the grass. Hi Mike, I just recently bought a house in Arkansas with a rock yard and want grass. The soil here is tricky and I was told that I had to bring in top soil. Is that correct or could I just remove the rock top they added and plant grass seed in the original soil that is rocky itself? And can i plant the seed now before winter comes. Thank you very much for your help. Years ago I installed hundreds of lawns. Back then we never brought in topsoil, we just worked the soil that was there. Sometimes it was sand and gravel, sometimes clay, others rocky as can be. In each case, with no topsoil, we got a beautiful lawn. Topsoil is loaded with weed seed or worse, maybe nut sedge. I’d just work what you have. You’ll never get rid of all the rocks, just rake it smooth and plant your grass. Yes, you can do it this fall. It might look sparse over the winter, but the roots will growing when the tops are not. Maybe over seed bare areas in the spring, you should be fine. Mike…we certainly need your help. We have an area approximately 80′ x 40′ of previous grass that is enclosed by a 6′ fence in order to keep our German Shorthair Pointers within our property. In very little time, they, the dogs, destroyed the lawn. What was once grass covered became extremely muddy with every rainfall. We have since covered the area with straw, repeatedly, in order to curtail mud being brought into the house. Now we have approximately 4-5″ of compost under the current layer of straw. Here is our dilemma. We need to somehow restore that area of lawn before we even consider attempting to sell our home. As stated…we NEED help. Should we attempt to remove as much straw as possible before seeding? We have enough garden areas within which we could spread the straw. I don’t know that we will be able to roll the area anytime soon. The compost remains moist 24/7. Your advice, help and considerable knowledge greatly appreciated. I should have mentioned that we live in the Dayton Ohio area. This is a bit tricky. If the composted straw is well composted it will perfect for growing grass seed. I think at this point I’d try raking up some just to be sure you have a seed bed for the grass seed. Rake up what you can and seed early this spring, probably right around April 1st in Dayton would be a good time. You might have to do a seconding seeding near the end of April. It really depends on the state of composition of that straw base. But I think you’ll be fine. We recently bought a house where the lawn is primarily weeds and moss. Some grass has survived but not much. There is also very little topsoil remaining and shows evidence of continued washing during rainstorms from the runoff due to poorly located gutters and the hill behind the house. We plan to install better drainage, reslope the yard, bring in topsoil where needed and start fresh. We know the soil is very acidic and we will need to apply lime as well as a non selective herbicide to deal with all the weeds in order to get a fresh start. In what order and timing would you recommend doing this? We will not be able to get the drainage addressed before we exit our prime grow time of September (we are in CT) and will be growing the grass in the spring. The yard currently receives a decent amount of shade though the front does get several hours of uninterrupted sun. We will be doing some more prunin/removal of overgrown trees so we will likely end up with more sun when we go to replant. I know fescues are the best for shade. Do you have any other recommendations for a blend? Given we do get some sun should we go with a perrenial rye and kentucky blue grass blend as well? For sure use a blend, if you have a significant amount of shade skip the Kentucky blue and get a blend of more than one perennial rye and at least one fescue if not two. You can apply the lime at any time, but spraying for the weeds can be done now, but more weeds will come. Best to spray 10 days or so from the time of seeding. Topsoil? I’m not a big fan of bringing in topsoil to install a lawn. I know that today that’s how all landscapers do it, but years ago we did not. We just seeded what was there, clay sand and gravel, didn’t matter we just worked it and seeded it. Topsoil has some nutrition, but not enough to sustain a lawn for very long. Lawns that are expected to stay really nice and green need to be fed anyway, so in my mind topsoil is just a waste of effort and money. Thank you. The reason we have been discussing topsoil is given how much soil has washed away. For example cement footings which used to be level with the soil are now 4 or more inches exposed in many areas. There are signs of this all around the foundation and throughout the property. Would you suggest something else to bring the level back up to where it once was or just work with what is left? If you need soil to correct the grade, topsoil is fine. It’s just that all too often people are told that they “have” to bring in 20 or 30 yards of topsoil when in fact the soil they have is just fine. Hi, a place down the road from me has a tow behind seeder for an atvthat drills the seed into the ground. Would this prevent me from having to add straw tho the area? That will work just fine and if you wait until cooler weather it will work great without straw. What the straw does is protects the young grass plants, once the seed has germinated, from the intense summer summer. Here in northern, Ohio I would do what you mention with the drill seeder in late September and I would not use straw. That will give you the best results. You don’t want to waste the seed or your time so do as you suggest, just wait a few more weeks. Here in northern Ohio the 3rd week of September would be ideal. HI Mike, I live in Michigan. We had hydroseed done 4 weeks ago. Luckily I work from home and kept the soil moist all throughout July and August thus far. The grass is spreading nicely, but since we have lots of elevated areas in our 1 acre lot, there are plenty of thin and bare areas. Granted, many areas will fill in on their own, but I purchased grass seed through a local bulk seed company anyway. We had some heavy storms that washed some of the seed away, so I figured it would be best to apply more seed in the Fall. I plan on overseeding the entire 1 acre lawn this Fall just to give all the areas a nice kick start going into Fall and the following Spring. My question is about applying the seed. I should mention we’ve had a landscape company bring in 450 yards of topsoil as we are a new construction over clay soil. So things aren’t compact. Would it be best to apply the grass seed via spreader and use a roller to insure good seed to soil contact? Or will a couple of deep waterings (non puddle) help push the seed into the soil more. I was worried about using a roller over 6 week old grass. I’d use the roller. The weight of the roller is spread over the length of the roller, it should not harm your grass. Or use an over seeder that makes a slit in the soil, you can rent them. The over seeder gives the seeds a place to hide which makes washing away more difficult. How do I get rid of large patches of moss in my lawn? Moss usually means that the soil is way too acid, apply some agricultural lime. I live in Colorado and planted grass seed about a week ago after receiving lots of guidance from my local garden center. I have clay/rocky soil and they recommended bringing in a tri-mix of topsoil (with manure), which I did. I then planted the seed (about 350 sq. ft.). It has been stormy, cold, and rainy ever since. I am not sure how long to wait until I should start seeing seed or at what point I should think about replanting. I have a sinking suspicion the rain has ruined all of my hard work. Also, if I do need to replant can I just rake over the area and lay more seed? Thanks! If the temps are above 60 you should see some grass plants in a week or so. You can lightly scratch up the area with a rake and re-seed, or just sprinkle more seed over top now and water it in and you should be fine. We just had our yard tilled and seeded two days ago. We’ve been watering it at night, but I noticed today the soil is dry by midday. I just reset our irrigation for morning, midday, and evening. After reading your article, I’m worried two days of dry soil may have killed the seed. Is it too late or will keeping it moist now be ok? You should be fine, your seed has not yet germinated. Once it germinates, that’s when the water really becomes critical. Hello! I just planted grass seed in a large area. Tested soil, good. Tilled, good. I sprayed multiple times but some weeds were still very alive but there were so many they were hard to get rid of. To avoid hot summer temperatures we decided to couldn’t wait any longer and just need to plant the seed. We raked a little but I’m noticing the job was not well done and the ground isn’t that level and after many light rain storms water is pooling in small areas all around. Is that grass seed done for? Is there any way to level it better now (4 days later)? Thanks! At this point there’s not a lot you can do without starting over. I wouldn’t be concerned about a little pooling water. For now keep it watered and hope for the best, unless you’re really unhappy with it, then start working the ground now before the grass comes in. Thank you so much! You seem so knowledgable about all of this! So I shouldn’t get a roller to flatten more? I also used straw to cover seeds. I’m concerned it wasn’t that sterile. Should I try to try to remove it or just treat it all the weeds once the grass has grown in? Thanks again for your input. Much appreciated. Most weeds are easy enough to control with some lawn weed and feed later. Almost all new lawns come up with some weeds present. Hey Mike. I’ve recently ripped up my backyard and plan on spreading 20 yards of top soil combination 3-4 inches thick in some spots. Do you recommend tamping the area before seeding or should I seed and let it settle by itself? Thanks in advance. The new soil should be reasonable compacted, then the top inch or so should be loosened to create a nice seed bed. If you don’t compact it, you will have all kinds of uneven settling. I think they make a jute netting for that. If you sow your seed early in the spring or in the fall, you don’t need straw, just use the green pelitized mulch they sell in bags. I like that stuff, whatever they call it, it works really well, holds lots of moisture. It doesn’t shade the seed, but it’s still easier than straw. This weekend, i will be ripping up my entire front yard, leveling the ground, laying 7 yards of new topsoil mix. I have been looking the scotts bluegrass mix to use in east coast. I was told by a few landscapers to lay peatmoss over the newly spreaded seeds. I know you stated in your article to not really use it because of the water situation. Can you please provide any inside before i start this project on saturday. The peat moss is a terrible idea and extremely, extremely old school. Once peat dries out it’s nearly impossible to re-wet and it actually sheds water. The new green mulch with starter fertilizer works great. Make sure that blue grass mix has at least three or four other types of rye grasses and fescues in the blend. I think you are about to create a mess. Grass tends to grow just fine in clay, it appreciates the moisture holding ability of clay. Just work the soil, rake out the rocks to get it level, then just seed and apply a grass seed starter fertilizer. Or better yet use the green granulated mulch with fertilizer in it. Do it now, not when it gets really hot. Bringing in soil is more than likely going to bring in a ton of weed seed of all kinds. I live in Michigan, zone 5b and we built our house on top of a very high hill . Planted about an acre of grass seed (Pennington Ultimate). The ‘soil’ was hard clay and stone with some areas pure sandbox sand. The clay was like concrete and very difficult to rototill. We put down 1/2 to 1 inch at most top soil on the clay and a good 2 inches over the sand. Spread this Pennington Ultimate and applied a Scotts starter fertilizer. Watered every day with well water, high iron content, and now 3 seasons later it is so beautiful I and the Misses just like to sit on the porch and admire the beauty. A deep emerald green. I am no expert on growing anything but have learned so much from you. TY mike & tuey. Thank you Mike for you kind words and congrats on a great job installing your new lawn. I put dow weed and feed and covered that with straw was that a goid idea or did I mess up. Mike, when you till the ground , should it be dry? The reason I ask is because the snow just melted away yesterday . We got out there today and did a little bit. I have no idea what I am doing! But it will get done. Soil is much easier to work with when it’s dry and you don’t really want to sow seed on cold soil. It takes warm soil for seed to germinate so you don’t have to be in a hurry. Get the soil worked and make sure it’s sill a bit loose when you sow the seed. Till it and rake it flat, then sow the seed. If the air temps are warm it will germinate in a matter of days. I have been researching how to fix up my wreck of a backyard and everything gives so much unnecessary information. This was straight to the point and is wonderful! Thank you so much! Thank you, I appreciate that. I try hard to make gardening and landscaping as simple as possible. Be sure to check out my original site, http://freeplants.com for more great down to earth information. If you are looking at Mike’s blog from your desktop computer, hold the control key and press the – key once. This should reduce the size of your text so it doesn’t run off the screen. If the result isn’t satisfactory and you want to go back to the text as it was, hold the control key and press the + key once. We just seeded and grew grass in a small area but the grass is sticky, any reason for that? Not sure what you mean by sticky, but I don’t think I’d be concerned as long as it’s growing. I have this same problem. Very fine and thick grass. Sticky feel to it. After a few weeks of being one of the best looking areas in the neighborhood it completely turned to hay. It has been hot however watering has been done consistently. Haven’t mowed yet after a month because I’m afraid where the wheels run, the grass will not stand back up and smother itself. I really hate it when an article metions peat moss to cover new grass seed! Like really hate it! I am the garden pro at my Home Depot. I have been doing this a very long time. There are 2 distinct reasons we don’t cover new seed with peat moss. The first was mentioned here. Peat moss is one of the best natural water repellants there is. If you take a small mound of peat moss and put it on your lawn and hit it for 2 full minutes with your hose nozzel on the rain setting, and then push aside the top half, what;s left below will be bone dry! In the old days (long before my 59 years) farmers would take a pre-measured amount of peat moss and water and make a slurry by letting it sit until the water is absorbed, and then placing it on acid loving plants like blue berries. The second reason we don’t use peat moss is the acid I just mentioned. Peat moss is highly acidic. Here in the northeast and at the end of our winter, our lawns have a PH (potential hydrogen) of between 5.2 and 5.8. Because the PH scale is between 0 and 14 with 0 being very acidic and 14 being very alkaline, we are trying to raise that PH to anywhere between 6.4 and 7.0 (7 is neutral on the PH scale). Because the PH scale is a logarithm, every whole number is 10 time the number before or after it. That means that every time we go up or down one whole number it will be 10 times the previous number. That is a huge jump! OK….so we are trying to get the PH of our lawn soils up after the winter. This is why we add lime. So we want to raise the PH by adding lime. Not for nothing folks, but peat moss has a PH of around 4. Looking at the PH scale you will see that is extremely acidic! 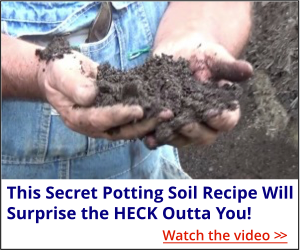 You all see the so called “landscapers” use peat moss telling you…”hey Mr. homeowner! I just did you a big davor by covering your new seed with peat moss so you won’t have to water do much! What he just did was add an acidic product that reverses the action of the lime you just paid good money for. What does lime do? Lime does nothing for the grass plants…per sey, but it makes the nutrients in fertilizers “available” to the grass plants. In our soils is a substance called Colloids. Colloids are what holds Jello together and are also present in milk fats, which is why spilled milk becomes jell like. These colloids trap the nitrogen, phosphorus and potassium in fertilizers and keep them from the grass plants. Lime breaks the colloidial bond and releases those nutrients. Now just for the sake of mentioning it, when you purchase your spring lime, and unless you have a huge piece of property, do not use granular lime. This lime is pulverised dolomitic limestone and is actually incredibly tiny pieces of whole lime rocks. This lime works by water errosion and can take up to 2 years to travel 4 inches into your soil! I always suggest pelletized lime which resembles freeze dried coffee and reacts the same way to water. It disolves right away and begins working within a day or two, raising the PH quickly. Granular limestone is beneficial to golf courses and large pieces of propertry but the lime they put down now may well not work until next year or the year after. Go with the pelletized on your average 1000 sq ft lawn. By the way…the rule of thumb for lime is 40 lbs per 1000 sq ft of lawn. The actual formula is measure your lawns length by width. Multiply that number by 44 giving you the perfect amount of lime for any given area. If you want to cover your grass seed with the correct product, my store carries a very good top soil for $1.98 for a 40 pound bag. Seed only needs to be covered by a small amount of top soil, keeping it moist and keeping it from “seeing” the sun so the seed doesen’t germinate popping the hull of that seed and drying out and dying. New seed should be watered twice a day for 20 minutes per areas at 6am and again at around 4 pm. This will keep the soil from drying out. I agree with the mixture of seeds but I do not recomend Rye grasses. These are “feed” grasses and ar known as bunch or clump grasses. Bunch grasses grow out from a central point in the soil and growing up in the shape of an upside down umbrella. The only problem with thiese grass plants is that they leave open areas of soil below inviting weed seeds. I have and recomend Kentucky Blue Grass…especially if you have an underground sprinkler system and are good with the several feedings it requires over the course of the season. KBG is dense and won’t allow weed seeds a place to plant themselves. I hope this helps! I have an e-mail address where I have over 3500 of my customers on my list. Every week I send out e-mails telling my customers what they should be doing at any given moment according to weather, temperature and time of season. They can also ask questions and send photos of their lawns and gardens. I do this on my own time. I love giving my customers great lawns and gardens…..that is the reward for both of us! A 100% blue grass lawn is a recipe for disaster. If something comes along and attacks that bluegrass, all you have left is soil. That’s why we uses a blend of different grass seeds. The new varieties of perennial rye grasses are fine textured and durable and they germinate in 6 days or so. Kentucky blue takes 28 days to germinate. Weeds? 6 days or less. While you are waiting for the Kentucky blue to germinate you end up with a lawn full of weeds. I too have been doing this a long time. Years in the landscaping business. I guaranteed my work and back that guarantee up with my grocery money. I had to make it work. I learn what I needed to do to give customers a successful, beautiful lawn. Thanks for sharing your knowledge. I love it when knowledgeable people comment on these posts. Mike…..I gotta tell you…I have all the respect in the world for you my friend! I did not think you would post my comments! Most who host web sites such as your, do not allow comments that disagree with them. Kudos to you sir! I have a masters degree in horticulture, and I too have been giving people incredible lawns for decades. Through my private e-mail address, I advise just under 9000 of my :friends” in 16 states. I NEVER, EVER recomend a 100% Kentucky Blue Grass lawn UNLESS they are guided by me personally. I wouldn’t necessarily call it a recipe for disaster to grow blue grass alone. It does require more attention. Even todays hybrid bunch grasses are still bunch grasses. This year alone, and as long as my friends have what I consider to be proper conditions, I have them grow pure blue grass lawns. Now as you are painfully aware, I’m sure, there will always be those that will decide to skip a step or decide something I suggest isn’t necessary and will have problems. I stay with those customers from beginning to end. The extra work gives them a lawn that requires little attention in the future and a dramatically reduced weed content due to the density of bluegrass. There have been many ocassions where I suggest a blend of grasses, but if conditions are correct, and I know that I have someone listening closely, it’s blue grass all the way. I receive over 300 e-mails a day from April To early November and have had only 14 people who were overcome with weeds. By the way Mike…..I don’t know how your wife feels about this, but I can’t tell you how many cold stares I get every night while hammering away answering these e-mails.LOL….. Keep it up Mike! Its a necessary service we provide! By the way Mike…those 3500 customers are just my local area customers…..the other 5500 customers are from out of state. No easy trick keeping trach of weather conditions out of my area….but there is no better feeling,a s you know, when e-mails pour in telling you….well…what your customers tell you here! Due to the amount of clay in my soil, water puddles every time it rains. This past winter caused a lot of grass to die. I have areas where the rainwater drains in huge rivulets down to the lowest point and becomes a pool. What kind of grass will survive in those rivulet and pool areas? Regrading won’t help, so I’m stuck with this water! Another ‘Well Done’ earned by the Donkey Pop! You are an national treasure for the armature gardener. Great article on buying and planting grass seed. I did just what you wrote in 1978, buying from a farm seed store and getting advice from the owner. Mid-priced grass seed with a “name” attached to it. Every year when I needed to do some repair, I could go back and buy the name, “Evergreen”. The repaired grass grew in to match the whole lawn. I am proud to say that after a few years, it was also “weed free”. I used pure nitrogen to “green” it, but you need to know that it is GOING TO RAIN! It was so green, you could spot my lawn hundreds of yards down the road. My neighbor payed a lawn service to do his at a waste of his money. I am a master gardener in UT and I really enjoy your articles. Thanks for all the work you do. You’re welcome, my sister is a master gardener in Yuma, Az. And its Bermuda grass on my lawn, Thanks!!!! I live in Atlanta, Ga. and I want to re-seed my weed choked yard. What do I need to do to get started and when do I start the process? And what is best way to maintain my yard afterwards. What I would do is to apply a weed and feed to kill all the broadleaf weeds, then just over seed with your desired seed mix. Of course September would have been the ideal time to start the process. In Atlanta you should be able to apply the weed & feed around April st or sooner. As soon as the grass starts growing put down the weed & weed. Do Not put down a pre emergent for crabgrass, it will stop the new grass seed from germinating. You can apply more seed but you should scratch the soil before you do so the seed stays where you put it. Then come September touch up any areas that still need attention. It’s a lot easier to grow grass in September than it is in July. Keep in mind, blue grass seed takes 28 days to germinate, but if you have no grass in those bare areas even the blue grass will struggle without other grass plants to give it some protection. Hi-Mike. I live in Arizona and am not sure what type(s) of grass seed blends that are best for this climate. I live exactly between Phoenix & Flagstaff, in the (Verde Valley) town of Camp Verde. My yard is full of non-ending rocks of all sizes. I’ve dug up & raked as much as I possible could. My neighbors have succeeded in growing grass in their yards, but have small bare spots w/also thick grassy spots. Some parts of the lawns are also greener then other parts. So, any suggestions on seeds & dealing with the rocks? Thanks so much. As far as the rocks are concerned all you can do is rake the lawn until it is flat and make sure there are no large stones that will interfere with a lawnmower. Grass seed in your climate? Your best bet is to go to a full service garden center, not a big box store, and ask them what they recommend. They’ll know what grasses do best in your climate. Unless I’m mistaken Flagstaff is probably around zone 6 and cool season grasses might work there. But not in Phoenix. Phoenix is way too hot for cool season grasses. I sprayed a large portion of my yard in march (7500 square feet). I killed off all of my shade grass. I removed three black walnut trees that were damaged from storms a year ago. The shade grass could not handle the sun. I resprayed the weeds, and waited three days, and tilled it up. I planted Bermuda grass seed (I have had success in the past). I spread my seed, took an old ballpark drag, and drug it by hand over the new seed onetime. I think this is the same idea of your broom. I then rolled the entire ground. Everything was set, THEN, we had storms! An inch of rain turned into about six over two and a half days, with most of the rain as a downpour with flash flooding. Did I waste $65 dollars on seed? The only area that needs my immediate attention is at the bottom of a valley where it looks like a mini Grand Canyon. Yesterday I tried to fix the ruts, but it was still too wet. I tried to scan the rest of the soil, and I couldn’t tell if I was seeing seed, lime, or fertilizer. Do I wait about 4 more days to see where I have germination? Or do I re-seed the whole area. I just worry about getting a good seed contact with the ground and damaging any new plants. If I planted now, I wouldn’t be stepping on any new plants. To save money and wait until I plant, is there any advice not to hurt the new plants if any seed survived? This is a tough call. You did everything right to prevent damage from the storm. What I’d do is look for areas where all of the seed may have washed into. I don’t think you wasted your money, and since it is now June I’d just water and take care of what grass comes up. You can spot treat in the fall when conditions are more favorable. Hello. We are complete beginners attempting to seed our existing lawn. Currently it has a somewhat green appearance but is not grass blades when you look up close, rather an assortment of crabgrass and other green grassy weeds. We spread topsoil across a large portion of the front lawn without any other preparation such as weed killer or sand application. Planning on spreading seed Tonight. The weather has been 40-60s this week with no rain but rain is coming tomorrow with temps in the 70-80s this weekend. I would like to get your advice on if we should see success with this approach. Thanks so much! Property is almost an acre. Chances are the grass seed will grow in you keep it watered. Straw would help a lot. But you are likely to have a lot of weeds in the lawn, both from the existing weeds and the weed seed in the topsoil. You can always treat the new lawn for weeds later this year. I had the yard seeded and have about 3 inches of growth. I know it was not rolled prior to seeding and now i sink when walking on it. I will not be able rake the yard or mow. Can anything be done at this point? I have the company coming out to look at the problem. I need your advice. I have the same question Todd. I don’t have and do not want to rent a roller and probably couldn’t push it anyway. How important is this step? I have looked everywhere. I guess we might have to call a lawn service. The roller isn’t a necessary step unless the seed bed is soft and spongy. Usually just working the soil is enough unless you put in inches and inches of topsoil, which I really don’t recommend because topsoil is loaded with weed seed and roots. When installing new yard should you roll ground to compact soil. Had about 8 inches added in some areas and it is very soft to walk on. Should this have been rolled with a weighted roller?? If the ground is really soft it probably would be a good idea to compact it a bit so you don’t end up with all kinds of un-uniform settling. But if you compact it much you should loosen the top 1″ or so to get a good seed bed before planting. Or . . . sow the seed, then roll with a weighted, but not super heavy roller. That will compact the soil while at the same time pressing the seed into the soil which will help and speed germination. Now I realize somebody is going to come along and tell me that compacting a lawn before or while planting is counter productive. But I don’t want you to compact it like a highway. All you want to do is eliminate settling that will ruin your lawn. Hi Mike, I just planted a new lawn and did not put starter fertilizer down when I seeded. It has been about 3 weeks and the grass has started growing. Is it too late to add any kind of fertilizer? At this point since the grass is so young and tender I’d wait until it’s been there for at least 90 days. Just keep it watered and it should be fine. It will be a little pale, but first shot of fertilizer will green it right up. I have a question: the “grass seed starter mulch” in the “green bag”–can you tell me the name of the product? I am looking online on amazon right now & I think you mean “Encap Llc 12# fast acting lawn starter mulch kit” but I am not sure. Also, I can’t tell if this product has seed in it already or not. I am hoping not b/c I already ordered the mixed seed, as you suggested. I just want to get the right mulch to cover the seed, when it gets here next week. thanks for your article. I honestly don’t know the name of the product. It’s just mulch and starter fertilizer, no seed. 5 days ago. put down a light layer of straw and wet it down. next morning where was the straw? not on my yard!! Chances are not. They do make a glue that is used when hydro seeding but I don’t know that it’s available nor would it work with straw. Some stretch strings across the yard. Best thing is to wet it and hope for the best. Early spring the lawn will likely be fine without it. Mary, you don’t have to til those bare spots. If you could loosen the soil slightly or just poke some holes in the areas that are completely bare that would help. I’m just concerned that if you spread the seed on completely bare areas that are smooth, the rain will was the grass seed to the edges of the bare spots. But if the soil is slightly soft, apply the seed, then press it against the soil so it sticks in place. Placing straw over the seeded areas is good, but it can be messy. You can also buy seed starter mulch, usually blue or green in color and it contains a seed starter fertilizer. When the mulch pellets get wet they swell up and do a good job of holding moisture against the seed. By all means seed right now to take advantage of fall rain and warm sun. Mike, I always enjoy the information you send. This one about planting grass seed is where I have a question. I have many spots that have turned brown. I intend to deep rake, sow seed and cover with grass clippings. What do you think. Strew I know is better, but the grass clippings are free. Thank you, your the best. Mike, I seeded my lawn about 4 days ago with Winning Colors Plus (tall fescue/blue grass mix) and so far so good. However, I noticed in the forecast that it will hit 90 degrees in 3 days. Should last about a day, then back to low 80’s/upper 70’s. Do I need to be concerned? Have numerous dead spots in my St.Augustine lawn due to chinch bugs and other critters. Spread insecticides several times to no avail. Also used weed and feed to kill weeds encroaching from neighbors’ yards with similar results. Considering ripping it all out and planting Bahia grass, which is more resistant to bugs, but really looks awful in cool months in central Fla. To Bahia, or not to Bahia; that is my question!! Mike perfect timing on seed planting, thank you. I suddently see a lot of crabgrass invading my lawn. What can I do now. I’m in Long Island, NY and temperatures are about 80-90 right now. I’m concerned that if I don’t do something now I’ll wind up with a crabgras lawn. Norma, the easiest way to deal with crabgrass is apply a lawn treatment designed to get rid of crabgrass then about 10 days later reseed the area. You really don’t have to nor should you dig the area up. You have crabgrass because your lawn is thin or drought damaged. Re seeding will help a lot. You don’t have alot of choices when you have mid to late season crabgrass. I am on Long Island like you. Crabgrass is an annual weed. That means it dies at the end of the season and first hint of frost. Even though it dies, crabgrass will drop up to 150,000 seeds for the following season. This is why we use crabgrass preventer in the spring. This product prevents crabgrass seeds from germinating, but will also prevent all seed from germinating….including grass seed! If you have crabgrass now, wait until the fall and spray with Roundup in the blue and white bottle. This is a non selective vegetation killer BUT you will also be able to plant new seeds 10 short days later. Good advice Mike! I’ve been trying to re-seed my lawn. I STARTED in the spring, like you (and everyone else) suggest, but I just have a small tiller, and really can’t till more than 100 square feet in an evening after work, maybe 200 on a saturday or sunday. So summer hit long before I was finished. Right now, I have planted maybe 1500 square feet with a cheap brand of fescue mix, and 500 square feet with a Pennington coated shade-tolerant fescue mix (on the shady part of my yard). When the temperature wasn’t in the 90s or higher, it was all coming up, except in a few spots. But when it started getting hot, only the stuff in the shade came up. But I don’t know if that’s because it was cooler under the shade, or because the seed was better, or maybe a combination. Anyway, I’ve notice, since it started getting really hot, that even where the grass sprouted, it’s being choked out by the ugly grass that was there before I tilled. Guess I should have put more Roundup on it. Also, the weeds are coming back. It’s not quite so bad in the shady areas, but even there, the new grass is competing with the previous grass (though it does look like I’ve gotten rid of the moss, at least). But in the sunny areas, I can see little if any of the grass that I planted, just the old grass and weeds. And about half of it never emerged at all, either because it was too hot when I got around to planting it, or because the soil is so hard. The last hundred square feet I planted, after tilling, I mixed in some muck from the ditch down by the road. In addition to being very wet, this foul-smelling muck is rich in organic matter. Didn’t seem to help, but again, it was planted when temps were well into the 90s. I’ve given up on it for now, thinking it’s way too hot for the seed to grow, even if I did everything right. I might just start over in the fall. But my problem is, I have 10,000+ square feet of lawn, and between my job and my tiny tiller, I can’t till more than 1,000 square feet a week. So how long is this window in the fall for optimal planting time? Also, the seed I planted after it got too hot – do you think it’s DEAD? Or is it just waiting for the temperatures to get cool before it germinates? And the seed that’s still in the bag – the bag has been outside, under my porch, so it didn’t get wet, but it does get some directd sunlight in the morning. Do you think the heat might have affected it? Or can I still plant it in the fall? Not sure I want to, because it’s the cheap stuff that got choked out by the old grass. But I’m not sure I can afford to plant 10,000 square feet with the good stuff. Trevor, the reason that you only have grass in the shaded areas is because the seed in the sunny areas germinated but dried out and died when the hot summer sun hit. It wasn’t bad seed or anything like that. I’ve seen this many times. The seed germinates just fine, but when it’s hot and sunny you really need to water at least two or three times a day. For most people that’s not practical. That’s why I advocate early spring and fall for planting grass seed. Trust me, I used to install lawns and summer is just flat out challenging to grass seed. I assume that you don’t live in a hot climate. If you live in the northeast, we have what’s known as cool weather grasses. These are Kentucky Blue Grass, Fescues and Rye grass. These grasses will not germinate above 85 degrees as opposed to the southern warm weather grasses which will not germinate below 85 degrees. Early spring and mid fall are the best times to plant the cool weather grasses. I’m in Ohio. All we have are cool season grasses and around here landscapers install lawns all summer long. I myself have installed hundreds of lawns, many in the dead of summer well above 85 degrees. I’d prefer not to, but all landscape jobs are deadline sensitive and nobody is going to tolerate a contractor waiting for a “better” day to plant the grass. They want it done now! Homeowners and more importantly contractors on big construction projects. Thanks, we need this infomation in OK. I have one question, what mixture fo seed do you suggest for shaded yards? Mike, I just had my yard graded. What tips do you have for a new lawn? what is so magical about Aug 15 for seeding your lawn? I live in Eastern Maryland. Pat, I have no experience with Bermuda grass but I would have to assume you plant the seed just like we plant grass seed here in the north. Great article Mike! Now I need to know how to get grass to grow on rocks. I sure enjoy your emails! Two things I would add to your article. First, after the soil has been worked over, an application of 5-7 pounds of lime per 1000 square feet. Allow that to be rained on a couple of times, a good rain. Next apply 10-10-10 granular fertilizer at the exact same time you seed in at the rate of about 5 pounds per 1000 square feet. Best time to seed in would be middle to late September, though seeding on top of the last snow works very well too if the soil was preped in the fall. I had to replant an area because the city dug up a portion of my lawn. Being an ex-concrete finisher,I used an 8’screed to level the ground,(yes,shovel,& rake too,to get out the large rock’s)& spread the seed mix,bought at Lowes,by hand,& covered it with straw. I have a great looking lawn. At least the dug up part.haha Really,my whole lawn look’s good! Michael, that’s funny. I guess we all use the tools we are most comfortable with. I like to sit in a wheelbarrow and eat lunch and I’m sure you have as well. It’s amazing how you always know what information I’m in need of at a particular time! Do you have a special ESP connection? thanks for the advice on seeding a lawn patch. I failed the first time I tried, but did it again (wrong time of year, I know!!) and from your article, I should be successful. M.O. I try really hard to send out information that people need when they need it. If only folks knew how long it takes to get ready to send one of these newsletters, I have to do a lot of writing before hand and make multiple blog posts. Not complaining, just hope folks realize how time a person spends on this type of work. Sometimes I drive all over just to get a few photos that then have to be edited etc. But I’ve been doing it for 13 years, it must appeal to me. If this forum had a like button I would have liked your comment. Thank you. What do I need to place an a hill before I seeded? Just make sure you work the soil well so the seed sticks to the soil surface. You can mulch with straw and secure with netting if you like. Thanks Mike, learned more from your message than off the bag of seed and or fertilizer!! Thank you so much for all the helpful info you provide. I have thought about doing the gardening,but I’m older now and cannot be out in heat due to MS. I live out in the country and have the space. It’s probably harder to do the gardening out like this. It would probably be hard to get enough people to come out ahead with it. Thank you though for all the great info. I’m like another person who said you always seem to know what to put in your emails just the right time. I’ll let you know how my grass planting comes out.We have lots of shade trees and not much sun can penetrate through.